Life experiences such as adversity in childhood have been linked to epigenetic changes to DNA. These changes do not affect the sequence of DNA, but can change how tightly DNA is wound, and thus how easily it is transcribed. One epigenetic change that can occur following adversity in childhood is methylation of the gene for the glucocorticoid receptor (NR3C1). A recent study by Kathryn Ridout and colleagues examined links between early adversity, methylation of this gene, and behavioral problems in childhood. Adversity was linked to methylation of the gene at exons 1D and 1F in the promoter of NR3C1. Methylation of the gene was associated with internalizing behaviors (e.g. depression, anxiety) but not externalizing behaviors (e.g. attention deficit hyperactivity disorder (ADHD) or oppositional defiant disorder) in children of preschool age. 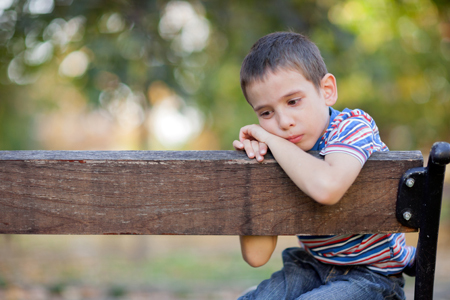 The NR3C1 methylation was a significant mediator of the internalizing behaviors in children who had experienced adversity. Editor’s Note: Similar associations of methylation of the glucocorticoid receptor with childhood adversity have been reported in other clinical and animal studies and provide a mechanism for the long-lasting adverse effects of stressors in childhood.